Thinking of finally popping the question? Make it memorable, take the weekend off and do it at this gorgeous property with a balcony hot tub, overlooking a valley. 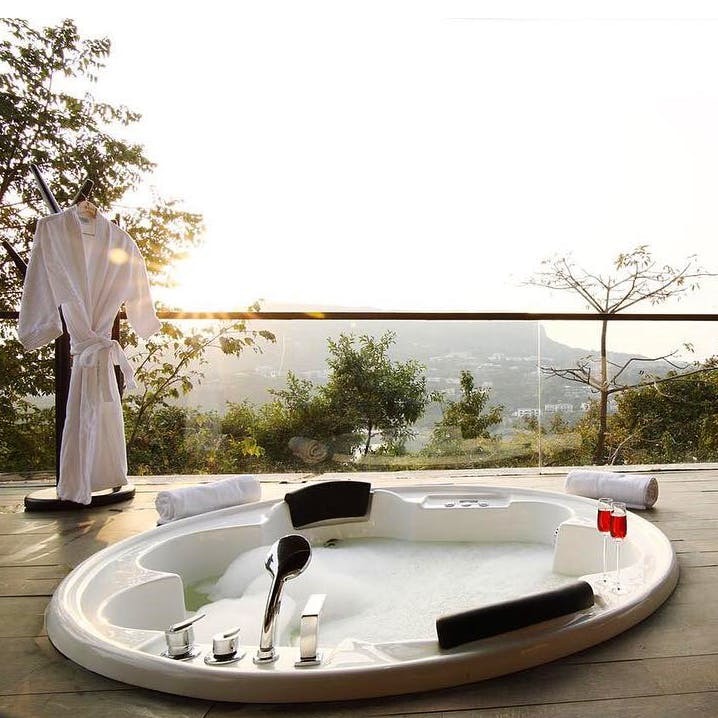 Just about a couple of hours from Pune, Royal Suites at Aamby Valley in Lonavala is one of the finest example of a romantic getaway. From its location to its decor and facilities, Royal Suites will make you fall in love all over again. The property, perched on a cliff, overlooks the spectacular green landscape of Aamby Valley. The rooms are as luxurious as it can get. Imagine polished wooden flooring, pastel drapes, a comfortable king-size bed and full-length windows that let in natural light. But that's not all. We hear Royal Suites have a quaint balcony with a hot tub in it. The views from there are absolutely magical. Isn't that the perfect spot to finally pop the question? The prices for a night at Royal Suites start at INR 18,000. We think it's a bit steep even during off-season. Must check out the spa and the wellness centre at Royal Suites. We hear they have offer great couple spa treatments.